The major sign in this condition is the occurrence of seizures which happen when our brain cells that communicate through electric impulses start sending out the wrong signals. These seizures can last anywhere from several seconds to a few minutes. Having just one seizure does not mean you have epilepsy. Generally, the occurrence of several seizures are a clear indication of epilepsy. Epilepsy is called Apasmara (Apa = loss, smara = memory, intelligence and/or consciousness). Akshepaka is a disease that is characterized by convulsions. In Ayurveda, the convulsions are caused due to an imbalance of the Vata dosha. 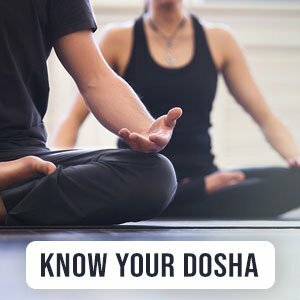 The loss of consciousness in terms of doshic influence can be attributed to Pitta dosha. When one loses consciousness soon after seeing the colors red, blue and black and also recovers quickly, this is considered as a sign of Vata disturbance. Similarly, Pitta disturbances happen due to seeing the colors light or dark red or yellow and recovering with heavy sweating. Convulsions in Apasmara are followed by losing consciousness and frothing at the mouth. Due to its cardinal sign of loss of consciousness or memory, epilepsy or epileptic attacks are commonly known as the ‘falling disease’ or ‘fits.’ It is a serious disorder of the central nervous system that affects both children and adults alike. Depending on the dominance of the three doshas and their combined effect, it is classified into four types. A fifth type, called Yoshapasmara, which is more prevalent among women. Yoshapasmara is another type of epileptic seizure elaborated in our texts and finds relevance in the condition of hysteria. Many a times, it is ignored as a tendency or hereditary factor. This has grave impact on the growth and well-being of the female suffering and the people associated with her. But on a positive note, it is treatable and can bring about a great change in the person afflicted by this. Simple partial seizures. Symptoms may include involuntary twitching of the muscles or arms and legs; changes in vision; vertigo; and having unusual tastes or smells. The person does not lose consciousness. Complex partial seizures. Symptoms may be like those of partial seizures, but the person does lose awareness for a time. The person may do things over and over, like walking in a circle, rubbing the hands together, or staring into space. Absence seizures (petit mal). Symptoms may include staring and brief loss of consciousness. Myoclonic seizures. Symptoms may include jerking or twitching of the limbs on both sides of the body. Tonic-clonic seizures (grand mal). Symptoms may include loss of consciousness, shaking or jerking of the body, and loss of bladder control. The person may experience an aura or an unusual feeling before the seizure starts. These seizures can last from 5 to 20 minutes. According to Ayurveda, the causes of epilepsy could be kama (passion), krodha (anger), lobha (greed), moha (temptation), harsha (ectasy), soka (grief) chinta (worry), udvega (anxiety), etc. In case of petit mal, there is momentary loss of consciousness with no convulsions except a slight rigidity. In this case, the attack stops within a few seconds. Grand mal, on the other hand, has a more pronounced effect. Violent convulsions accompanied by a sudden loss of consciousness, twitching of the muscles, biting of the tongue, distorted fixation of limbs, rotation of the head and deviation of the eyes continues for much longer. Firstly, it is necessary to understand that thinking someone may swallow their tongue during a seizure is nothing but a common myth. One must avoid putting anything in the mouth of the patient during an attack. Do not try to restrain the person in any way. If possible, remove the individual’s eyeglasses, tie, and/or scarf. Turn the person to their side. This can help saliva flow out of the mouth by clearing the airways. Do not try to feed food or drink to the person at the time or soon after. This could cause choking. Living with epilepsy can be tough and cause the sufferer many social problems. A person suffering from such a condition usually also gets attacks of depression, withdrawal from society, loss of health due to abnormal eating habits among other things. Those with well-controlled seizures have a different set of issues as those experienced by people with poorly controlled seizures. It is a fact that having epileptic seizures can indeed affect the lifestyle of the sufferer. For example, young people striving towards academic goals, getting a driver’s license, seeking employment and travelling can all become challenging. Top among epilepsy management tips can be to practice meditation and other relaxation techniques. Yoga and pranayama along with meditation can have a healing effect on brain chemistry by countering the effects of stress which often disturb electrical activities in the brain. It is important to develop a seizure management plan which needs to be shared with friends, family and other pertinent people so they know what to do. Learning about your condition can give you confidence. Read about it as much as possible, join support groups and maintain a journal of personal triggers so you can safety proof yourself. If you have epilepsy, the risk for accidents and sustaining injuries tends to become higher. During an epileptic seizure, it is quite possible that you can’t control where you fall or have jerky muscle movements where you hit against something. This situation is potentially dangerous as you can get physically injured in the form of cuts, bruises, burns, etc. Here are a few things you can do to stay safe at home. Cushion your falls with padding on the floor like soft carpeting, cork and rubber flooring. Use home linen like carpets, covers and curtains with natural wool or other natural fibers as synthetic material can cause friction burns. Cover sharp edges, keep obstacles out of the way and use wire organizers to avoid tripping over them. Use toughened safety glass or double glazing as far as possible. Electric cookers can be safer than gas burners as there will be no open flame. Also, cooking on the back burner is safer as you are less likely to lean into the direct flame. Use cordless electrical devices as far as possible. Opt for a low bed so that you don’t fall from height, if at all. When outside your home, it is a good idea to carry a card or wear medical jewelry that signifies your condition so it is easier to get help. States do have restrictions on driving if you suffer from epilepsy. Know the laws where you live, It’s better to be safe than sorry. If you like to go swimming or indulge in other sports, use a buddy system. It is ideal that this person is aware of how to handle a seizure situation if it arises. If it’s possible, sit down in the shower rather than stand to avoid injuries. A doctor consultation is a must for diagnosing and treating epilepsy effectively. Medication, counseling and lifestyle go hand in hand to have a complete therapeutic experience. The good news is that there is a cure for epilepsy in Ayurveda – at least, it be managed to a large extent of being able to lead a completely normal life. Counselling: Assurance and guidance helps overcome the depression and anxiety and may also enhance the effects of the medications. Panchakarma: Strong detoxification procedures are highly recommended in such cases. The type of purification method chosen to restore the brain’s activity to normal would depend on the specific dosha that is vitiated. Vata dosha: In this case, the body is cleansed using enema (basti) to balance Vata dosha. This dosha gets aggravated due to stress, lack of sleep and acute mental exertion. Constipation and problems of the GI tract can also bring about this type of epilepsy. Vata is calmed with the help of medicated oil massage (abhyanga) as well as by pouring a stream of oil on the head (shirodhara) which can calm the mind. Herbs like shankhapushpi, ashwagandha and brahmi are used to normalize brain activity. Pitta dosha: The aggravation of this dosha is corrected by purgation (virechana). This dosha is usually disturbed due to high heat. The possible causes of epilepsy due to Pitta dosha could be diseases like encephalitis and inflammation of the head. Kapha dosha: Toxins are removed from the system by inducing vomiting (vamana). This is often due to a blockage of the nervous system. One of the primary signs of Kaphic epilepsy can be the excessive secretion of saliva. It could be set off by a sedentary or inactive lifestyle. Tulsi and calamus root are commonly used to treat Kapha type epilepsy. Rejuvenation and revitalization through Rasayana therapy reduces the recurrence of attacks and promotes complete mind and body coordination for a fruitful life. The Ayurvedic epilepsy natural treatment are Panchayagavya Ghrita, Mahapanchagavya Ghrita, Vachadhya Ghrita along with the various herbs given below. Brahmi (Bacopa Monniera): 5-10 ml of the fresh juice can be taken with a teaspoon of honey as a natural cure for epilepsy. Shankhapushpi (Evolvulus Alsinoides): Take equal quantities of shankhapushpi powder with vacha (sweet flag). Consume 3 gms with honey twice daily. Malkagni (Celastrus Paniculatus): Chew Malkangni seeds (10-12 seeds) on an empty stomach and drink some water as epilepsy natural treatment. Jatamansi (Nardostachys Jatamansi): Mix together 3 gms of jatamansi, 3 gms of shatavari, 5 gms of brahmi and 5 gms of guduchi. Consume ¼ of the mixture in ½ cup of water and drink twice daily. Vacha (Acorus Calamus): Make a decoction by soaking 1 gm of lightly pounded vacha root in a cup of boiling hot water till it comes to room temperature. Mix with honey and drink. Kantakari (Solanum Surattense): Nasyam by placing 2 drops of the fresh juice in each nostril daily can give relief from epilepsy attacks. Ash Gourd (Benincasa Hispida): The fresh extract or juice of this fruit is very beneficial in such conditions. One glass of this juice can be combined with 1 to 2 teaspoons of licorice (yashtimadhu) powder. Drink this once daily for best results. Lahsoon (Allium Sativum): Take equal quantities of water and milk (approx. 100 ml each) and boil till just the milk remains. Add to it juice from 4-5 garlic cloves and mix well. Take once a day. Vitamin B 6: Rice, milk, brewer’s yeast, cereals, legumes, carrots, peanuts, green leafy vegetables. Don’t overeat. Eat small, frequent meals rather than an elaborate one. Coconut water contains much needed electrolytes and is very helpful to keeping the body well-hydrated. Follow a regularized daily routine (Dinacharya) to stay stress-free and safe from sudden accidents. Try to keep stress and excessive excitement at bay. Keep yourself engaged in positive activities to help relax and strengthen your mind. Treat yourself with a head and foot massage with sesame oil daily. Add a few drops of frankincense essential oil as a healing agent to soothe your nerves. Epsom salt baths can be beneficial in this condition as Epsom salts contain magnesium which can regulate brain impulses. Alternate between hot and cold compresses at the base of the brain and back of head. Constipation should be taken care of with the help of laxatives like isabgol.